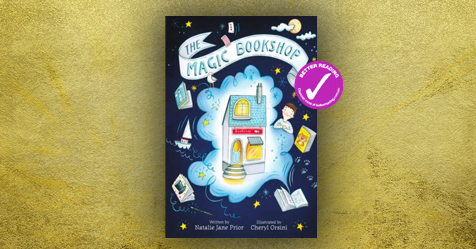 Bookshops are always exciting places that promise escape from the everyday for adults and children alike, and The Magic Bookshop is no exception. Tiger, Lighthouse and Magician are the three-short tales in this whimsical collection, all setin the bookshop that Ben’s Grandad owns. Ben loves to visit his Grandfather’s bookshop, where he can roam free and grandad encourages him to read whatever he wants – even the scary stuff! The bookshop has always been a mysterious place for Ben and this is confirmed when he starts hearing noises and seeing unusual scuff marks under his favourite place to sit on the red sofa. Then he hears a rumble beneath the floor boards, but he has to keep it a secret – Ben doesn’t want to scare the customers away. After narrowly escaping drama on his last visit to The Magic Bookshop, Ben returns only to find the smell of sea air lingering around the counter. That’s when he starts to suspect that grandad isn’t clueless about the unusual things that happen between the walls and under the floor boards of his bookshop. All of a sudden, Ben finds himself with the wind blowing through his hair while he stands at the window of a lighthouse. Not one to sit around, he sets to work looking after the lighthouse, sending up the weather balloon and serving ice-cream at the lighthouse shop. But what happens when a storm rolls in? On his final visit, Ben experiences another kind of magic that involves applause, a spotlight and a magician. He’s enjoying the performance until there is an unexpected disappearance. Not one to dwell on a problem, Ben decides to take on the show himself! The Magic Bookshop is adorned with artist Cheryl Orsini’s beautiful illustrations, nostalgic pictures of an old-fashioned little bookshop in a quaint little village – you couldn’t imagine a more perfect scene for little book lovers. 5+ readers could enjoy this independently, but it would also be the perfect choice for a bedtime story for those who are yet to learn to read but love trips to the bookshop or library. Natalie Jane Prior has won an array of awards for her wonderful books, many of which have been published around the world. Natalie lives in Brisbane with her husband and young daughter, where she works as a full-time writer. 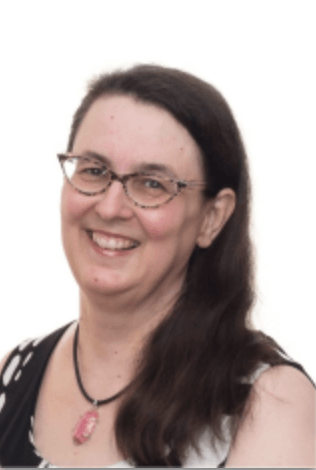 Cheryl Orsini has illustrated and designed several titles for children, including I Wish I’d Danced with Anna Pavlova and My Funky Fishing Book. She is also a graphic designer who has worked for a variety of clients in the theatre, film and music industries.